QUALITY, STYLE, PERSONALITY, CREATIVITY AND TASTE: EXPERIENCE IS MORE THAN THE PARTS. 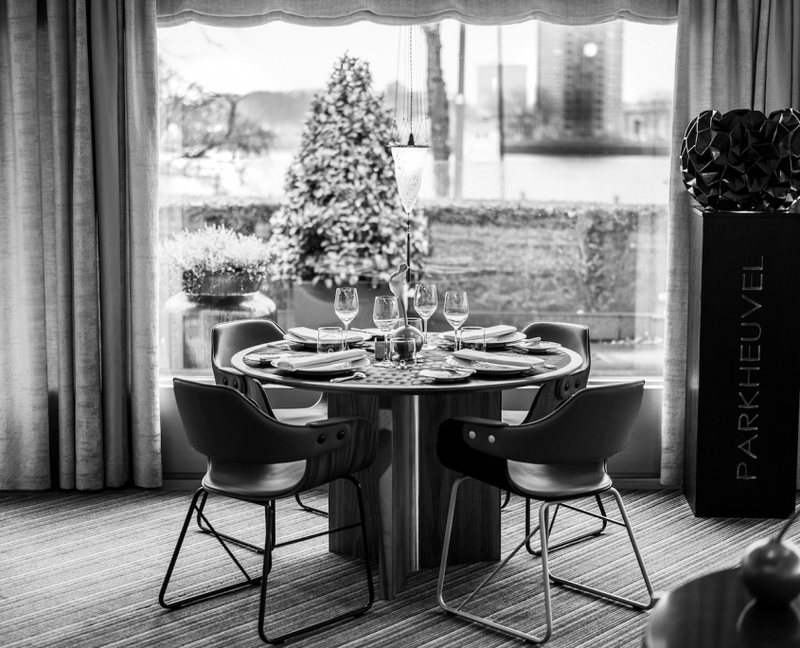 Restaurant Parkheuvel is a 2 Michelin star restaurant and is situated at the park in the heart of Rotterdam, close by the Euromast and right next to the river the Maas. The modern, round building is designed by the architect mister Klunder back in 1988. The restaurant has a warm atmosphere in the inside, outside we have a terrace which brings us spectacular views overlooking the river and the on-going boats. The style of our interior is what they call cosy art-deco. Quality and comfort is what creates and it shows us a woman of good taste, my wife and hostess; Anja van Loo. The foyer brings us to the lounge, the restaurant itself is shaped as a half moon and at every table it shows the views looking over the river. Once you are guided to your table, you can just relax and enjoy everything of what is being served. “Parkheuvel is all about emotions, it is passion, it is running and flying, it is welcoming the guests from beginning until the end, Parkheuvel is labour-intensive every single day, but it brings us endless enjoyment”. Only one thing is important in my kitchen and that is quality. Real food, what you see is what you get. In my opinion, taste is knowledge, it is emotion, it is feeling and at last, taste is all about memory. As a chef, you have to be in your kitchen, you really have to dive into your dishes. Every flavor that you create, every single ingredient that you use has to come back at its best . The final target is to create something which you can not exceed. That is where your creativity and knowledge is able to finish. Cooking is creating flavors. It is like giving a part of yourself away to a guest. These days we are fortunate that our guests want to taste the season again. I meet a lot of people that want to know the story behind the ingredients. 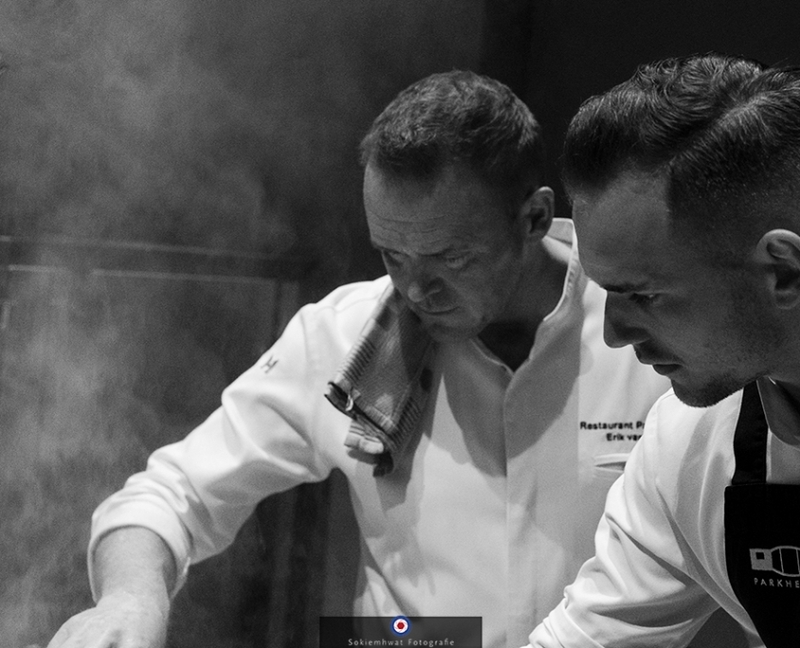 There is only one rule in the kitchen of Parkheuvel which is; only the best is good enough. Through the years I have gained good relationships with our suppliers to maintain the best quality. They know exactly what I want and what I need. They also know, that we need the best ingredients. The suppliers we have chosen share the same philosophy, for them it is the same: taste and quality. Give it time to grow, because with time comes flavor and with the right flavors we can extend the quality. Quality, style, personality, creativity and taste. The experience is more than one of these parts.